If you use WordPress for your website, you may have already heard some rumblings about the upcoming WordPress 5.0 release. The company is preparing to unveil a radically new way of managing content. Love it or hate it (and there are certainly a lot of opinions out there already), it’s pretty much guaranteed to be a game changer. Some people are eagerly anticipating the ability to customize the look and feel of your website’s content. Others argue that the lack of backwards compatibility and forced merge with the core WordPress software could spell disaster. But regardless of your perspective – and despite the fact that there is currently no confirmed release date – it looks like Gutenberg is coming, and we’ll all need to get on board. At its core, Gutenberg is a new way to manage, layout, and control your content. The classic Tiny MCE Text Editor, with its dual visual/ text editor views, will be replaced by a new system of “blocks”. Essentially, Gutenberg will take the advanced page builder functionality typically found in premium plug-in options like Divi and Beaver Builder and roll it into the core WordPress experience. The goal with Gutenberg is to make it easier for everyday users to create rich page and post layouts without having to learn HTML or CSS, or fiddle around with custom meta boxes. Each element of your content will now be added as a block in the page editor, whether it’s a headline, a paragraph, an image, a list, a YouTube embed, or anything else. Ultimately, the WordPress team wants users to be able to see what their content will look like as they create it, and to be able to easily change and customize things on the fly. It’s a big departure from the look and functionality of the current text editor, and only time will tell how well people are able to adapt to it. If you want to see for yourself what Gutenberg will be like to work with before the official rollout, you have a couple of options. You can install the official WordPress Gutenberg plugin on a testing or staging site (NOT on your actual site!). Or you can poke around in Frontenberg, a Tom Nowell project that allows you to try out the Gutenberg experience without having to do anything to your actual website. Finally, you can watch the 2017 State of the Word Address, which goes into more detail about the project and features a live demo. What does the Gutenberg launch mean for you – and for your website? WordPress is an incredible piece of software that has allowed millions of people around the world to tell their story, design a website, or build a business. But here’s the thing about software: it breaks. And when you start describing a new version of your software as “revolutionary” … well, get ready for it to break a lot. Historically, WordPress has always touted its backward compatibility (even sometimes to the detriment of the existing codebase). Gutenberg will be a radical departure from that trend. The company has decided to focus on the modern technologies needed to make their vision for Gutenberg a reality, and forget about trying to make it backwards compatible. I repeat: get ready for things to break. A lot. Gutenberg hasn’t even launched yet, and we won’t know for quite a while whether it’s going to herald a visionary new era of web design functionality or be a quickly forgotten disaster. In the long term, it may well be an excellent way for more people to develop more customized websites, even more easily. But in the short term, there will definitely be some growing pains to get through. 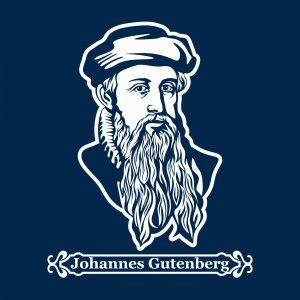 What should you do to prepare for Gutenberg? First things first, make sure you have backups of everything on your site, including your content, your files, and your database and store those backups separately (e.g. in Dropbox or another cloud service) from your hosting. Turn off automatic updates so you won’t be caught unaware when Gutenberg is released. Automatic updates aren’t supposed to happen on major releases, but why take this chance. Not sure how to turn these off? 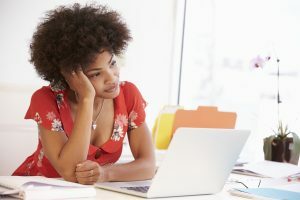 Check out this quick article and if you’re still confused (or just don’t want to do it), contact us for help. Install the Classic Editor plugin – this will allow you to continue using the current editor view even after Gutenberg has been released. Do NOT update to 5.0 until you have this plugin installed! Before you decide to switch over to Gutenberg, test out the install on a dev site for a couple of weeks – give yourself time to see what works and what doesn’t. If you’re currently working with a website designer or developer, get in touch to find out what changes will need to be made for your project to be completed. Ultimately, the bottom line is that a change as big as Gutenberg is going to require a big outlay on the part of website owners. That might mean a lot of time and effort troubleshooting the changeover and getting everything the way you want it, or it might mean spending the money to have professionals manage the transition for you and help you get set up in the new system. Good, bad, or indifferent, the Gutenberg release is going to bring a lot of changes to the way people use WordPress. Tired of all the talk about content editors? Want expert guidance in creating or updating a business website that works? 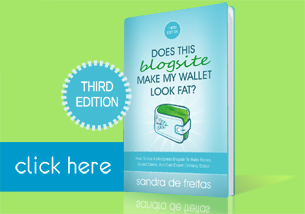 WPBlogSites can help. You can book a call with us right now using our online calendar, or drop us a line via our contact form and we’ll get in touch within 24 hours to see how we can help.